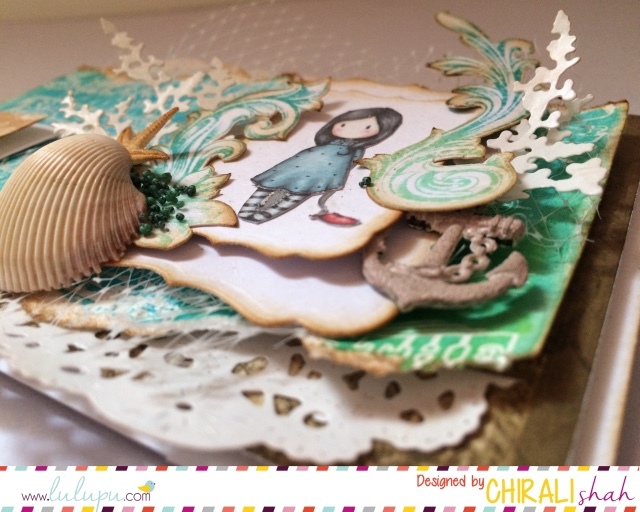 It's Chirali here with my first DT post - my take on current challenge with a quick tutorial. 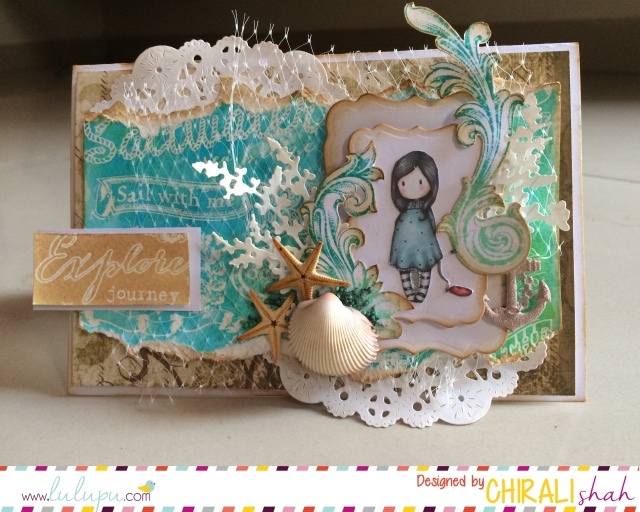 I have made a sea themed 'Explore journey' card which went best with what I got in DT kit. First of all, on white cardstock, I adhered a patterned brown paper and kept aside. Then took a water resistant paper from French Riviera Prima Marketing Paintables which I have got in my DT pack. Its a damn cool paper pad with printed sheets and water resistant sheets of same images. 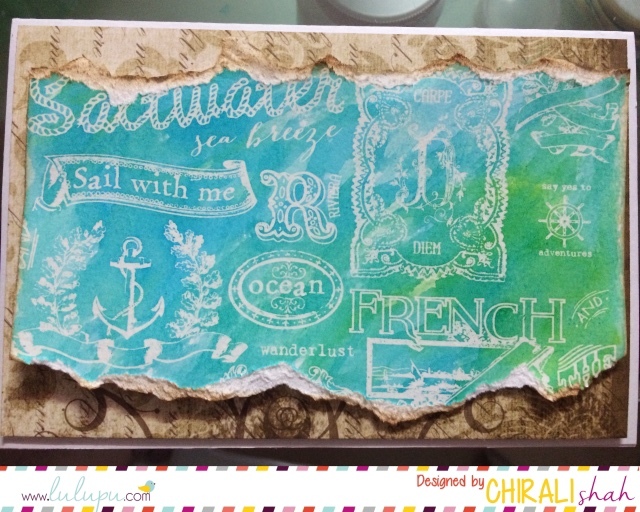 Just add a watercolour on paper and you will see images coming out of it, that too with feeling of embossing. See the way it looks when I started colouring with distress inks. Final one. I tore the sides of it and adhered with foam tape after adding doily both sides. And started decorating it. 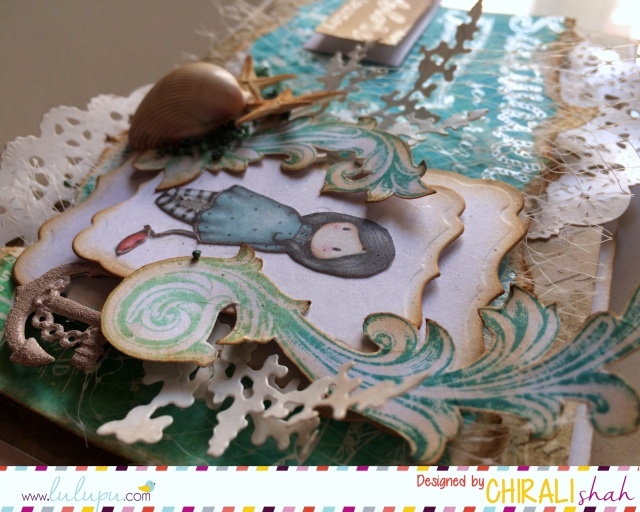 I used spellbinders die to create frames, a fussy cut gorjuss girl and vintage flourishes die from joy crafts. Other things like shell are from my stash. 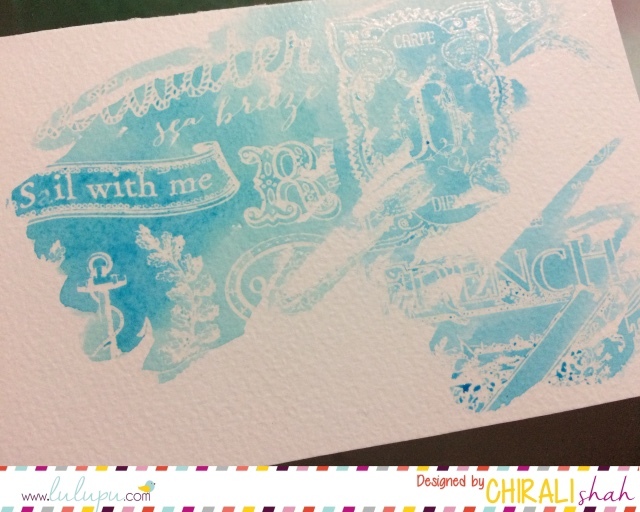 You can see that shine on paper, a feel of embossing. 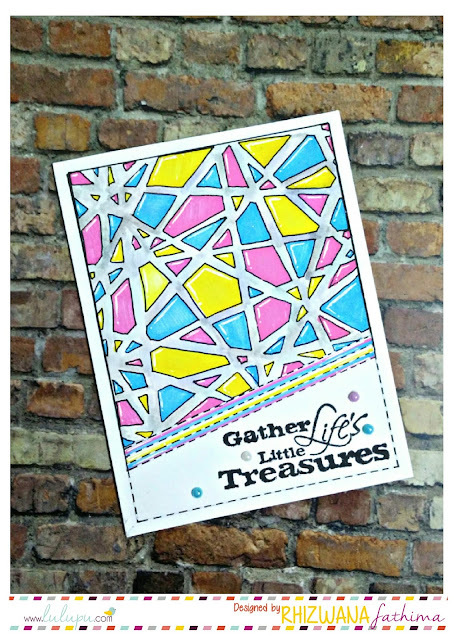 Wonderful layering!!! 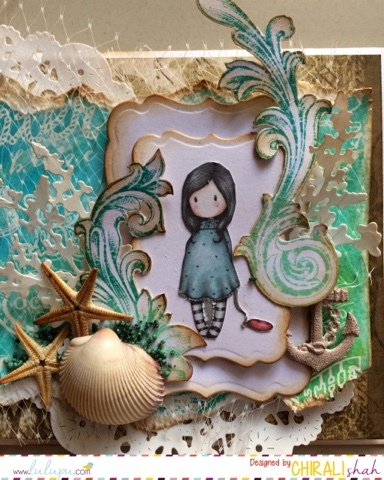 Love all the beautiful textures and all gorgeous element to create this beautiful scene!